Popular Mechanics has unveiled its 2013 Automotive Excellence Awards and has named the 2013 Ford Escape its first ever "Car of the Year" award in spite of multiple recalls. Even with its multiple recalls, Popular Mechanics has introduce their first-ever "Car of the Year" award, and the all-new 2013 Ford Escape has been the editors’ choice for the award. The newly designed Escape isn’t unlike a lot of new automobiles that have undergone a complete makeover. There are always inherent risks when an automaker changes everything on a vehicle from the drivetrain to the body and interior. It isn’t any secret that Ford has issued a number of recalls on the new 2013 Escape. They have had issues with the new 1.6-liter EcoBoost engine, brakes and the rear hatch. This isn’t unusual and Ford is going through the growing pains that most automakers experience after introducing a totally new vehicle. There is what is called a “sweet spot” for automakers when they introduce a new vehicle and it usually falls in the third year of production. That is when the manufacturer has had two full years to work out all the bugs. 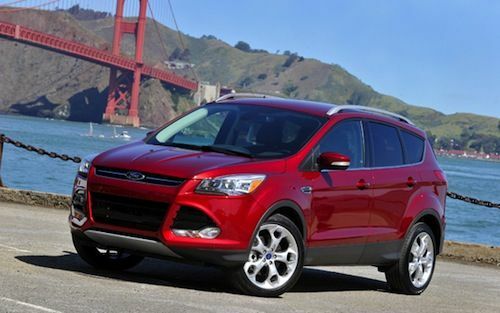 The new 2013 Ford Escape has been popular with buyers, and now it gets an award from Popular Mechanics. Reviewers pointed out that “Escape is freshly minted, with a solid new chassis shared with the European Ford Kuga. Should buyers who are looking for a crossover avoid the new Escape that has been completely redesigned from the ground up? We know that Ford is building a quality product and will experience some issues with the all-new SUV. In the end, Ford will take care of their customers and repair whatever issues the new Escape has. Popular Mechanics said, the new 2013 Ford Escape earned the honor for being “an affordable vehicle that excels in multiple auto excellence categories,” for its “excellent engine options, abundance of technology and great price.” The driving experience feels like it’s two full generational leaps ahead of the old Escape.” The editors at the magazine were so impressed that the Escape was listed on the editors' scorecards more often than any other vehicle. Ford has definitely designed a winner in the new Escape as it has everything buyers are looking for. The new crossover from Ford has a new chassis shared with the European Ford Kuga, and features more room to haul people and cargo. There are two turbocharged EcoBoost engines, a frugal 178-hp 1.6-liter four-cylinder and a more potent 240-hp 2.0-liter twin-turbo powerplant. The more frugal Escape returns a very fuel-efficient 33 mpg on the highway. It also features a 2.0-liter naturally aspirated EcoBoost that performs like a V6. The editors said the new Escape “feels like it's two full generational leaps ahead of the old Escape,” and we would have to agree. The crossover also features an optional intelligent all-wheel-drive system that will split the torque between the axles through an electromagnetic clutch. Ford has hit on the right formula with the new Escape, and buyers around the globe are voting by buying the new crossover. Fuel mileage is driving the compact crossover market in Europe, and Ford has pulled out all the stops to make the new Escape a global vehicle that is appealing to buyers around the world. In spite of the recent recalls, The new 2013 Ford Escape offers buyers a choice of three high-tech engines, a smooth six-speed transmission, new aerodynamic styling and plenty of high-tech features. Popular Mechanics says the all-new Escape is “fun, smart, and practical—everything a PM Car of the Year should be.” Look for more good things from the newly designed 2013 Ford Escape. Have owned my 2013 Ford Escape Titanium Eco-Boost for 2 weeks now. Love, love, love it! I actually find it too nice for me. Proud that after years of driving cheap, used cars that I've bit the bullet and my choice is PM's Car of the Year. I had the Xylon (sp?) coating applied and it is remarkable how good it looks despite driving in snow and slush. How does a vehicle with three recalls, and now a major forth recall, earn such a title. You must be regretting your choice, or you should be considering the car starts on fire. Not a good start to the "car of the year" awards. I won this vehicle and absolutely love it - yes the recalls are cause for concern, but Ford will work this out. I have had recalls on almost every new vehicle I have owned in the last several years, and owned other non Ford brands with some pretty major issues that were not even acknowledged by the makers as recalls - yet if you go online there are thousands of people complaining about the same issue...I would rather work with a company that owns up to the issues up front. This car is truly remarkable and deserves this award.